John Harper is the owner of CrossFit South Wake, a lifelong athlete, and has been a ‘CrossFitter’ since 2004. John began competing in athletics at age five, began structured fitness regimens and strength training at age 13, was a two-sport collegiate athlete (wrestling & football), and has served in the U.S. Army as a Special Forces soldier (Green Beret). He has spent the better part of the last decade keeping his body in peak physical condition utilizing CrossFit as a base for his fitness regimen. John began coaching immediately following college as a high school football, wrestling, and baseball coach and implemented many strength and conditioning regimens that were very similar to CrossFit before he had knowledge of the CrossFit principles and programming. After September 11th, 2001, John made a decision to serve his country and left the world of coaching to become a Green Beret. It was at that time John discovered CrossFit and he has maintained many CrossFit principles in his daily workouts. 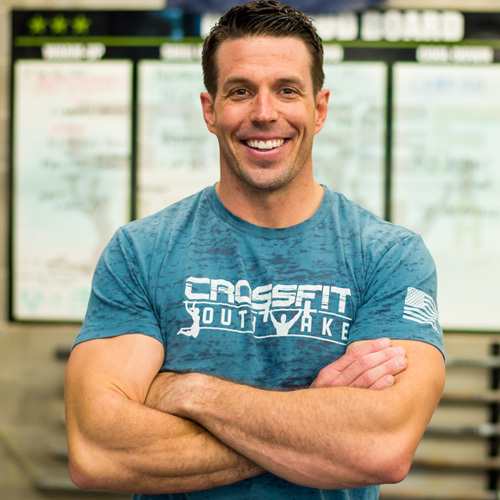 Now, after ten years of serving his country and contracting, John is now reaching back to something he truly loves: coaching, and he wants to impart his vast knowledge of fitness and health through his own CrossFit Affiliate. The culmination of being a part of a myriad of fitness regimens throughout his life, John decided owning/operating a CrossFit Affiliate would be the next chapter in his professional life. John wants everyone that comes into CrossFit South Wake to know that CrossFit IS a sport—-the sport of fitness where everyone is an athlete, and it truly teaches, pushes, and excites you every time you hear the “3-2-1 GO”! In his time away from CrossFit South Wake, John enjoys spending time with his family. He also operates and coaches the Holly Springs Youth/South Wake Wrestling Club.